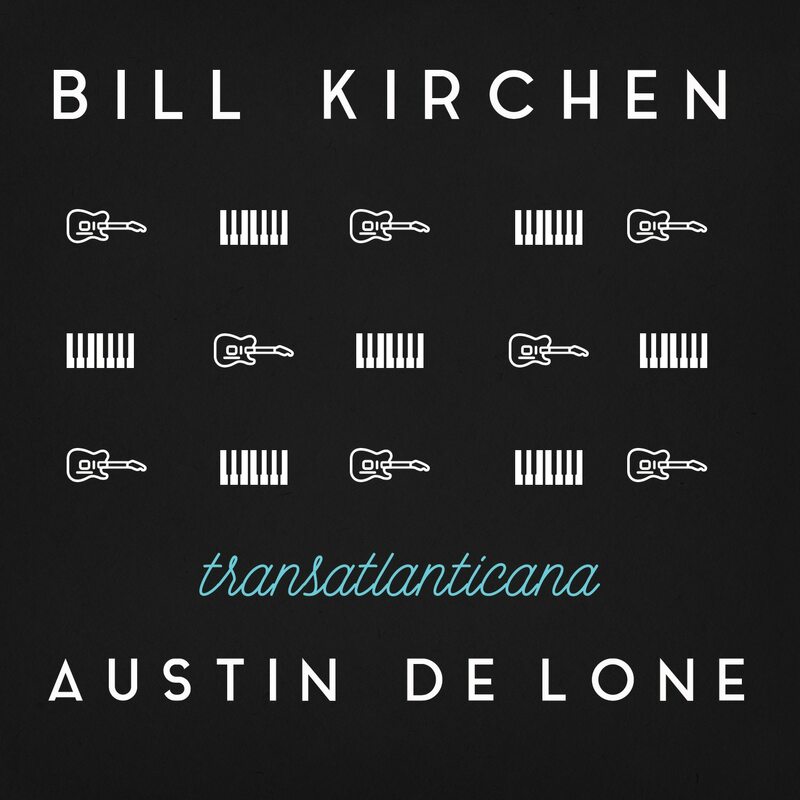 The times they might be a-changin’ as Dylan so timelessly stated in the 60s (and this duo reprises), but for Bill Kirchen and Austin de Lone, the times are going backwards to the late 70s. That’s when guitarist Kirchen, then fresh from his stint in Commander Cody’s Lost Planet Airmen, and keyboardist de Lone, ex-of Eggs Over Easy, first joined forces in a band called the Moonlighters. Despite a handful of tough, Rockpile influenced albums (one was even produced by Nick Lowe), the Moonlighters never generated more than a trickle of interest. Perhaps that will change now. Although de Lone and Kirchen are not officially reforming the Moonlighters, they have re-teamed for this partnership album whose somewhat clunky title refers to its bi-continental recording. Recorded primarily in Austin and London with two different rhythm sections, the pair is in fine spirits as they frolic through what was once considered pub rock in the UK and bar band music in the US. Now it’s thrown into the Americana bag. But genre pigeonholing aside, this set mixes some relative obscurities with new originals and is a modest yet rollicking good time. Lead vocals are shared and even though the tracks were recorded with different backing musicians and producers, the disc feels like a unified whole. Kirchen and de Lone dig into and rearrange some Commander Cody lost gems with “Wine Wine Wine” (from the Cody band’s debut where it was called “Wine, Do Yer Stuff”) and drag 1986’s “Let it Rock” into the swamp for a slower Nick Lowe-styled version that would do J.J. Cale proud. They get soulful on a lovely version of the Percy Sledge classic “Warm and Tender Love” and tear it up with the piano boogie-woogie of “All Torn Up.” The disc’s only full-fledged gospel track, “Somebody’s Going Home,” an original from Kirchen and co-writer Blackie Farrell, pays tribute to and was influenced by the Staple Singers. Interestingly it’s the only selection recorded in both the UK and the States. Texas songwriting legend Butch Hancock stops in to lend vocals to his rocking “Oxblood,” one of the disc’s many highlights.